President Donald Trump and Defense Secretary Jim Mattis have discussed the possibility that the U.S. military front the costs for a border wall, the Pentagon confirmed Thursday. President Trump signed the $1.3 trillion budget into law last Friday. The bill provides $700 billion in 2018 and $716 billion in 2019 to the Defense Department, money Mattis and the service chiefs have repeatedly emphasized is critical to rebuilding military readiness and lethality. In a tweet on Sunday, Trump suggested that part of the Pentagon’s new-found wealth could be used for the wall. 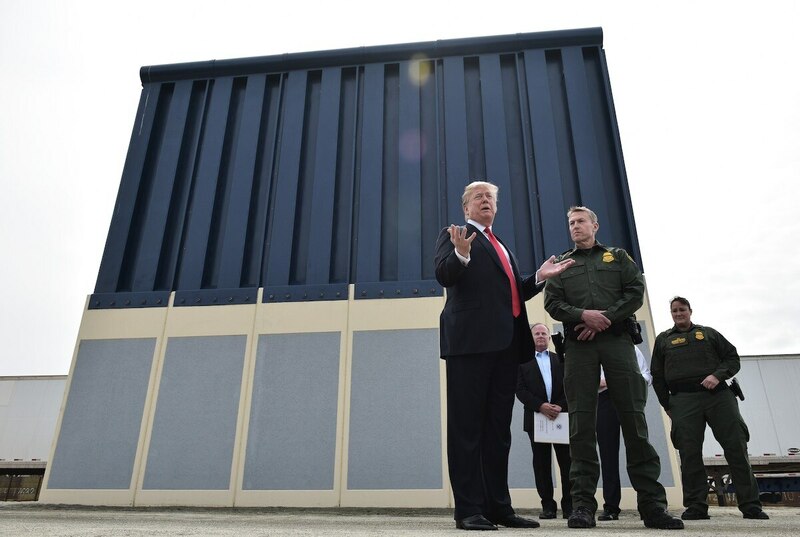 Trump has been pushing behind closed doors for the Pentagon to pay for a wall between the U.S. and Mexico, according to a new report. “It’ll take years,” he said. On March 22, as North Korean dictator Kim Jong Un prepared to test-launch a missile and tensions rose on the volatile Korean peninsula, a lone B-1B Lancer bomber took off from Andersen Air Force Base in Guam and flew across the Pacific on a Continuous Bomber Presence sortie. White said it was a “bridge too far” to assume that military readiness would be hurt if DoD has to cut $25 billion from its spending plan to pay for the wall, instead of using those funds for DoD priorities, such as buying new aircraft to replace aging aircraft and increasing the size of the Navy.